The past few weeks were exciting and are a sign of things to come in 2009. Dan Schawbel is possibly the best known personal branding expert based in the US. He's a very inspiring guy who's already accomplished a lot in a young career. Besides the blog, he's authored the handy Me 2.0: Build a Powerful Brand to Achieve Career Success, created the Personal Branding Magazine, and appeared extensively in mainstream media. Dan and I both started blogging around the same time. We met online over a year ago and have been in touch since. As part of the relaunch of his blog at personalbrandingblog.com, Dan has invited 6 contributors to blog along with him on a weekly basis. I've accepted his invitation to blog there every Friday, and will cover mostly (but not exclusively) personal branding as related to the job search. Thanks Dan! Beverly Macy – Social Media Marketing Instructor at UCLA and the Co-Founder and Managing Partner of Y&M Partners. Paul Dunay – The Global Director of Integrated Marketing at BearingPoint, Inc.
Jonathan Burg – Senior Emerging Channels Specialist at Digitas. Adam Salamon – Partnerships Director at Bazaarvoice, Inc.
Katie Konrath – Creativity Specialist and creator of getFreshMinds.com. This is an exciting announcement for me. Personal Branding Blog was recently named the #1 “job blog you should be reading” by CNN and CareerBuilder.com and like JobMob, is one of the top career-related blogs in the world as ranked by RiseSmart.com. My first article will appear on Personal Branding Blog today, January 16th. The most relevant of my Personal Branding Blog articles will be republished here on JobMob but I strongly encourage you to subscribe to the Personal Branding Blog by RSS or email to learn from the other terrific columnists and Dan himself. BlogBurst is an exclusive blog syndication service that places blog articles on major news websites like Reuters, USA Today and FOX News. As a result, JobMob articles can get much more exposure in the US. 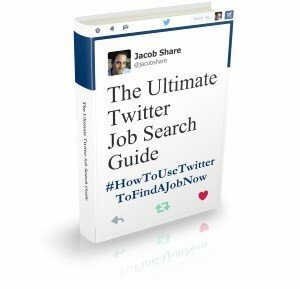 Here's the direct link to my “extreme job hunting” tip from that article on CNNMoney. Mojob, a Hebrew job search engine that lets you subscribe to results via RSS, has been added to the The Ultimate RSS Feed Collection for the Israeli Job Seeker. Also, as I discover new resources for online reputation management, I've been adding them to my resource guide. Initially there were over 150 but the guide has now grown to become 200+ Resources and Tips To Help Manage Your Reputation Online. 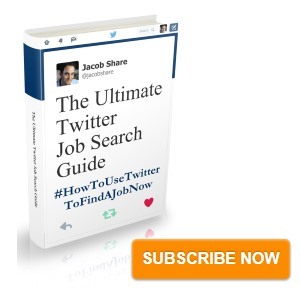 Subscribe to JobMob via RSS or email and follow me on Twitter for the best job search tips on the Web. Dan is really lucky to have your support too.